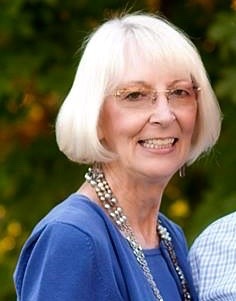 Obituary for Adela Dorothy (Kruppke) Richardson | In Memoriam Funeral Services Inc. Devoted wife, loving mother, cherished friend. Following a lengthy illness, Adela passed away at home on November 14th. She was surrounded by her loving family. Adela was the daughter of John and Margaret Kruppke of Swift Current, Saskatchewan, and had a brother – Art, and three sisters – Doris (deceased), Erla and Pauline. In 1967, Adela began studying nursing at Regina General Hospital where she graduated as an RN in 1969. She married Robert (Bob) Richardson in 1968 and they had three sons together – Brett, Chris and Rob. In 1978, the family moved from Regina to Guelph to support Bob’s career with Armco (now Armtec). Following 14 years spent at home raising her children, Adela returned to nursing with the Victorian Order of Nurses (V.O.N.) organization. In retirement, Adela enjoyed summers golfing at The Cutten Club in Guelph and winters on the beach and golf course in Sarasota. Adela is proudly survived by her husband of 50 years – Robert (Bob) as well as her three sons – Brett, Chris and Rob and seven grandchildren – Ally, Cassidy, Cal, Tim, Loralei, Maddux and Nolan. A memorial tree will be planted at the Wall-Custance Memorial Forest at ‘The Arboretum’ in Guelph. A celebration of life will be considered once the weather turns warm and many of her friends return from the south.